Blue Sky BuildersSkywriters Garage BlogBlue Sky BuildersGarage Versus Carport: Which Structure Is Right for Your Home? A carport is a structure which offers limited protection to vehicles parked underneath. 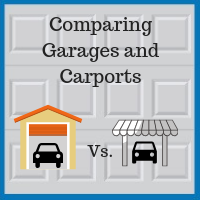 Typically, carports are open on at least two sides but provide shelter to vehicles from rain, snow, and extreme heat. A carport is also useful as a permanent canopy for entertaining visitors outside of the home. Due to the openness of the structure, homeowners need not worry about garage door openers or their associated hazards. However, carports fail to protect from potential thieves or vandals and risk catastrophic damage in high winds. A garage is a permanent, enclosed structure that can either be attached or adjacent to your home. Garages provide some of the same protection as carports; however, they also protect against hail, high winds, and harsher weather conditions due to the permanency of the building and the durability of the roof. The building does not need to only house a vehicle, but can also accommodate valuable items — such as expensive tools and equipment — due to the security of the locking door. Another alluring benefit of a garage is the ability to design it to match your home and suit your needs. Imagine having a permanent structure that matches or complements your home, from rooftop to foundation. Homeowners can choose to have multiple stories, various garage doors, and windows for ventilation. The possibilities are endless. Chicago families have relied on Blue Sky Builders for nearly four decades to help them design the garages that will suit their needs. Let us create your dream garage. 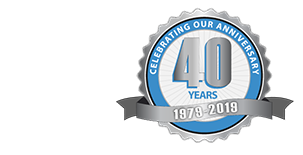 Contact our office today at 630-852-8485 to discover what we can do for you and your family. Please visit our gallery to view some of our previous projects.